Households are trying to save money by cutting expensive broadband bills and holidaying less, as wages fall and living costs rise. Family spending has fallen for three months in a row for the first time in four years, credit card company Visa said. It’s the first time overall spending on household essentials has fallen for three consecutive months since February 2013. The weak pound has also played havoc with household spending. With travellers able to get less for their money both in changing cash and abroad, holidays in the UK are booming, while long-haul overseas trips have fallen sharply. Buying face to face and in-store has dropped a further 3.5%, said Visa, while buying products and services online has shot up by another 3.6%. Visa analyse the market every month to see how much people are spending on their debit and credit cards. Saving money on the essentials has now never been more important to keep households afloat. That means many more people are switching broadband providers, or cutting back on expensive mobile phone contracts to go SIM Only. Kevin Jenkins, UK & Ireland Managing Director at Visa, commented: “Consumer spend fell for the third month in a row in July. “The figure provides further evidence that rising prices and stagnant wage growth are squeezing consumers’ pockets. “The drop in spending was felt across a broader range of retail sectors last month, with clothing, household goods, food and transport among the worst hit. 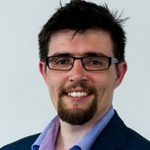 Tom is a tech journalist and former Editor at BroadbandDeals.co.uk. Is the cheapest home broadband best for a family home?